Some of the finest Wheat Wreaths made. 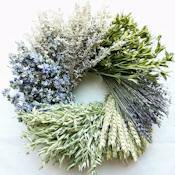 Make sure you consider one of these wheat wreaths for you wall or door. 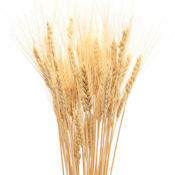 They are perfectly made and shipped well so you will get your wheat wreath in the most perfect condition possible. 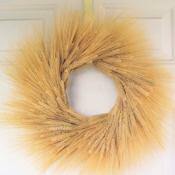 Add a long lasting wheat wreath to your home decor perfect for the look of your home or office. All of our wreaths are hand made and made fresh to order. 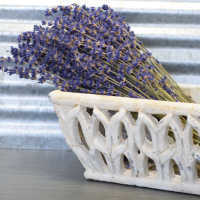 They are beautiful, perfect, and ready for your home decor. A bit of sunshine, our little garden wreath is sure to bring smiles to all who see it. Made of a variety of naturally dried flowers and leaves, the little garden wreath will last for an extensive length of time as beautiful as the day it was received. Softly blue and green, our little cutie flower wreath combines dried flowers and a variety of dried grains into a perfect little wreath. 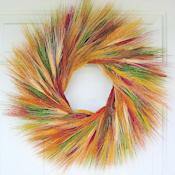 The texture and colors of this wreath confer a feeling a peace and well being. 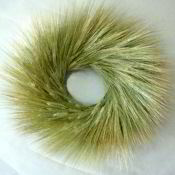 Perfect wherever it is placed, the little cutie flower wheat wreath will last for years. 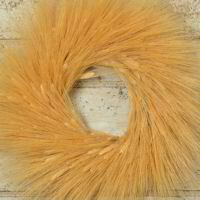 Dried Blond Natural Wheat Wreath - 19 inch. 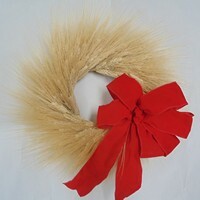 Beautiful wreath made with naturally dried blond wheat. 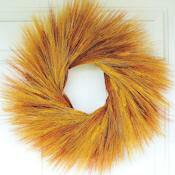 Extra Large Dried Blond Natural Wheat Wreath - 26 inch. 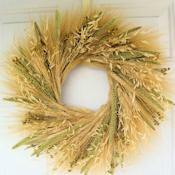 Beautiful wreath made with naturally dried blond wheat. 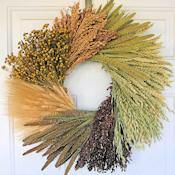 Dried Mixed Grain Wheat Wreath - 19 inch, A delightful combination of various grains. Orange Stained Wheat Wreath - 19 inch wreath, A unique wreath made with dyed wheat. 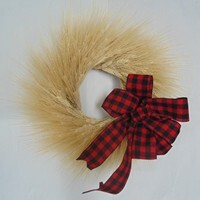 Extra Large Blackbeard Natural Wheat Wreath - 28 inch, Beautiful wreath made with naturally dried blackbeard wheat. 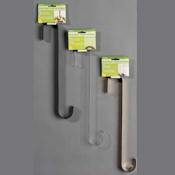 We also carry a wonderful bird feeder wreath. 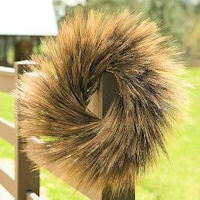 This bird feeder wreath sports 3 natural, dried bell cups in which bird seed can be placed. 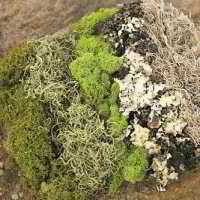 The wreath itself is beautiful to see with its variety of dried pods, flowers and grains. 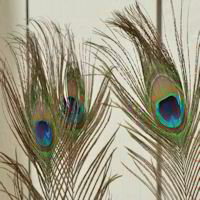 Birds may also nibble on the wreath itself!